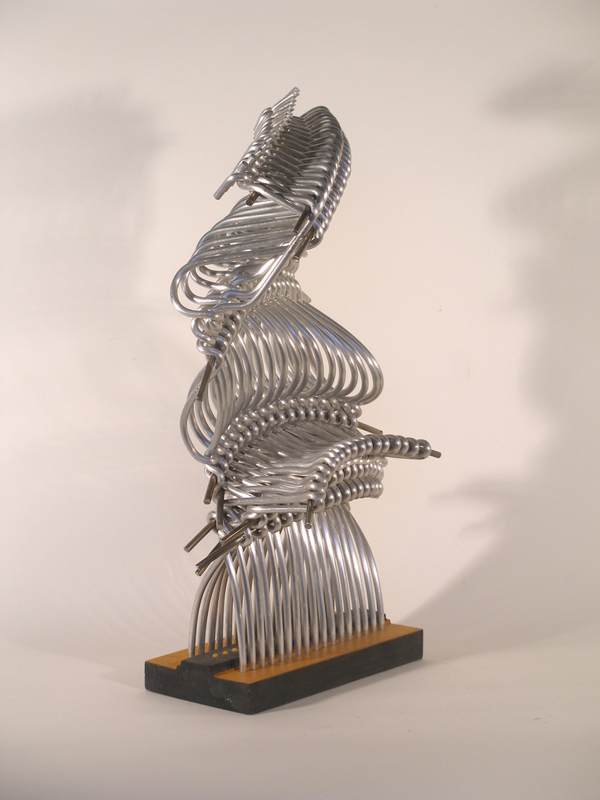 “Inspired by” divertissement “, light and playful musical composition born in the ‘700, I created a series of small aluminum sculptures. Each of these sculptures brings to mind a scene, a cartoon, a picture sometimes ironic, sometimes comic and sometimes thoughtful. They seem created with the speed of a sketch, made on purpose to entertain, to distract from the monotony or to make a mental break. 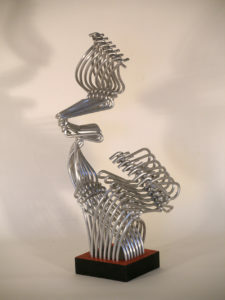 The combination of aluminum, light metal and almost seriously but not credible, and the colorful wooden base, similar to an actor who wants to hide behind a mask its true identity, reminiscent of a instrumental duet of two musical instruments that run and then of achievement and again flee. 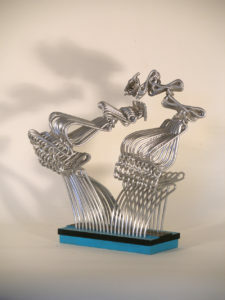 In these sculptures Colaone uses aluminum as the land was to be modeled. Use rod of this tender and humble metal and with the help of fire humor him to his fantasies. And here the artistic work becomes fun and games.